It’s Giveaway Day on Sew, Mama, Sew! If you’re unfamiliar with Giveaway Day, you can read all about it here. Basically, people aaaaall over sewing blogland are giving away TONS of free fabric, sewing patterns and supplies, handmade bags, clothes, accessories, items for babies and the home. It’s really your lucky day! I’m giving away this book, Zakka Sewing: 25 Japanese Projects for the Household (affiliate link), along with a few fabrics that I think would be great for Zakka sewing. 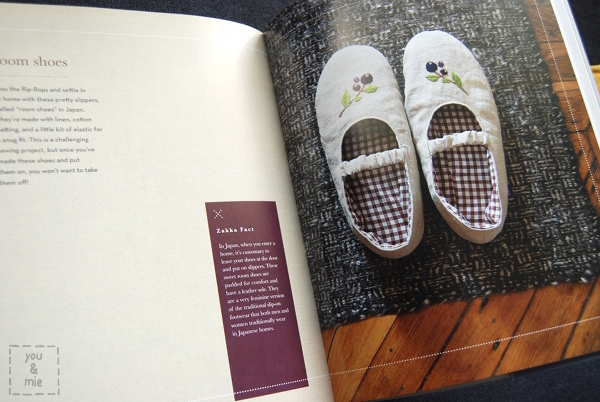 The book is full of cute sewing projects for home and life. It has lots of basic sewing and embroidery directions as well as great instructions and diagrams for 25 fun and adorable projects. 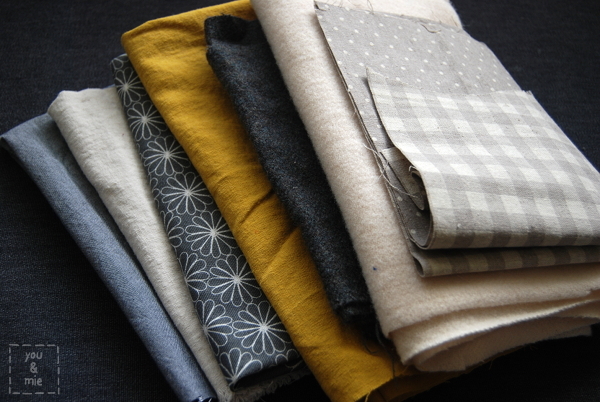 I’m throwing in a bundle of fabric from my stash that is a great starter kit for Zakka sewing. – Leave a comment on this post. Any comment will do! – Follow my blog (some people prefer email subscription, some have a favorite blog reader. I use Bloglovin and really do love it) and leave a comment telling me you do so. – Follow you & mie on Facebook and leave a comment telling me you do so. Good luck and thanks for entering! Be sure to check out all the other great giveaways on the Sew, Mama, Sew blog! You can enter as many as you want! you & mie is an Amazon affiliate. I will earn a small commission for Amazon purchases made through links provided in this post. This entry was posted in giveaway and tagged Giveaway, zakka by Cherie. Bookmark the permalink. These are beautiful fabrics! And the book looks like a lot of fun, too. cute book and love the fabric! thanks for the giveaway! What lovely fabric! 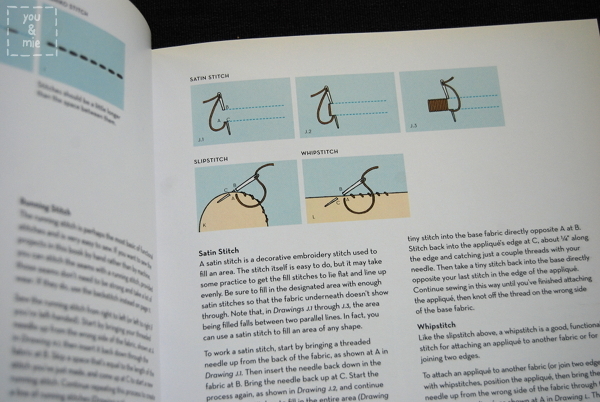 I would love a copy of Zakka Sewing! I’d love some zakka in my life (and more fabric too, of course)! Thanks girl! Love those fabrics! (and I”m a follower, so I’ll leave an extra comment. Such a great giveaway, thanks for the opportunity!! Ahh! I love this wonderful giveaway day! I always wonder what the winners make with their prizes..
I’m also a follower via my google reader, but need to update that soon to a new rss reader. Wonderful book and fabrics! Thanks for the giveaway! Those fabrics are lovely – would love to see in the zakka book too! The projects in the book look adorable! Those fabrics are gorgeous, would love to see in the zakka book! Oohhh that book looks lovely! Those are great fabrics. Also I follow you on Facebook. Gorgeous you lucky US people! The Australians really are at the end of the earth postage wise!! I want to make cute Japanese things! What a great prize. I would love to win it. Aaaaand like you on Facebook. Love it! Thanks for a fabulous giveaway. Definitely need some Zakka in my life! I love the fabric, but the book is something I am not familiar with! I saw lots of fantastic ideas in it! I love that squirrel tea cozy!!!! and the fabric looks so soft thank-you for the giveaway!!!! Cute 🙂 Thanks for the chance! What a lovely stack of fabrics!! I love the tea towels in that book. The embroidery is beautiful! I’ve wanted that book for a long time! I love these fabrics and the book looks like so much fun! Thank you! Since I can tell you anything I want, I’d like to tell you that you are awesome and I truly enjoy reading your blog! I love your style and always get inspired by your creations! What a great prize! Thanks for the chance! Cool fabrics! I have been wanting to learn more about the Japanese style sewing. Thanks! I follow you on Bloglovin, I like it too. I love to see. It would be great to be the winner. Very cute book and lovely fabric. i like your facebook as well. Oh, I would die to get my hands on that two sided gingham/polkadot fabric! I have heard some great things about this book! Thanks for a chance at a great giveaway! The fabrics and book look so fun! Love the fabrics and the book looks like fun. Great projects! I’d love them. Thank you, Cherie! The book looks awesome, as do the fabrics. I have never done zakka before, but am very interested in learning. In your opinion, what makes zakka, well, zakka? It’s so lovely! I already follow you on feedly! Would love to get these! Looks so pretty and fun for some great projects!!! love your blog!! always such great and beautiful ideas!! Oh, lovely! Hope I win! Gorgeous fabric and the books looks like fun. I follow you in Google Reader for the moment, but have Feedly to fall back on when GR bites the dust. fantastic fabrics, and the book looks lovely! I’ve liked you on Facebook. You and your beautiful little girl have a great week. Looks like a fantastic book, I follow your blog via bloglovin! How fun! Love this giveaway! And I follow you via the Blogshelf app! I love it! Beautiful fabrics and looks like a great book. Love to get my hands on that. I’m lovin” you on bloglovin! It would be wonderful to win all that lovely fabric and a fun sewing book with projects for me and my daughter to use! I’m now a follower on bloglovin…hope I win! Thanks so much for the chance – great giveaway! I would love to try Zakka projects. I am a follower through Google Reader. And yes, I will follow you when I switch to another reader, too. Oh thank you for the chance!! It looks like such a fun book. And I can’t wait to see all the cute baby tings you will sew! Pick me! This looks incredible! That selection of fabrics is just beautiful and the zakka book seems lovely. The projects are so pretty and inspirational. Great idea for a giveaway! 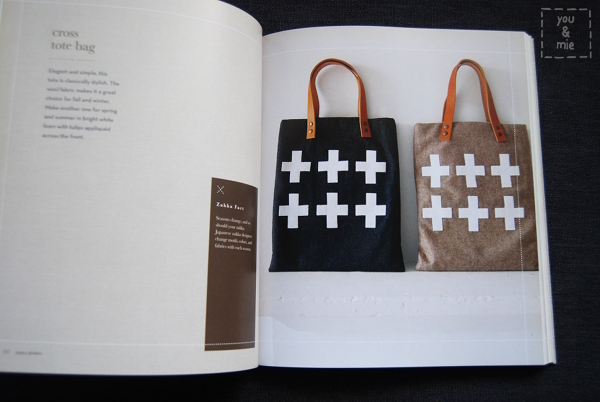 I have been thinking of purchasing the Zakka book! I am know a follower via bloglovin! And I am now following on FB! I cant wait to see what all you have to say! I love the fabrics and I think I might buy the book even if I don’t win! Thanks for the great giveaway! I also follow your blog on bloglovin and it’s lovely! Thanks again! I love Zakka. Thanks for the giveaway. I love the simple designs. Thank you for the giveaway. I checkout out that book from the library, and love it! I am a follower via Bloglovin! I always love the Zakka Books! The designs are always so simple and beautiful. I also follow along on facebook! i love your style and these gorgeous fabrics. i would love to win! The fabrics look so beautiful! Thank you for hosting such a great giveaway! i love your style and these fabrics. i would love to win! I love all the Zakka style stuff! Thanks for a chance to win! Great fabric! The book looks like there are some creative projects to do! Thank you for the giveaway! Love anything Japanese sewing! This is a great giveaway — thank you for hosting it! that double sided fabric is way cute! Yay! I love your taste. Giveaway day is how I discovered some of my now-favorite blogs! i’ve wanted to do zakka projects but don’t have the right fabric or a pattern book. this would be much appreciated here. thank you for the chance! LOVE the double sided fabric! I follow you on bloglovin too. What a lovely giveaway! Thank you! Thanks for the giveaway! I love that selection of fabrics. I’m a blog follower with Feedly. I follow You & Mie on Facebook. That book looks adorable! I can’t wait to flip through it and get ideas for projects! i love your fabric choices! What a great giveaway. The book looks fantastic, as well as a great pile of fabrics. love zakka style! and those linen fabrics are just begging to be touched! I’d love to give Zakka Style a try 🙂 I love the fabrics you’ve chosen as well! The book looks great, and the material is lovely too. My girls (ages 9 & 13) have requested that we work on learning to sew this summer. This would be a fantastic way to start! The fabric looks awesome and the book looks like it is full of fun stuff! I always love the clothes you make for your little girl, I’m kind of hoping you find out you are expecting a boy – then I can drool over your boy clothes too! Absolutely ADORE Japanese fabrics and the newest pattern books. Lovely giveaway. This book and the kit look like fun! Oh my gosh, I want this so much! That book looks so fun, and the fabric perfect with it! thanks for a chance to win! Great giveaway! Love all things zakka! I have look at that book before and put it on my wish list! I would love to win it! Yay! This book looks like a lot of fun! This book looks great and i love the fabrics you have paired with the book. That book looks so helpful and your selection of material is nice. ThNk you. I love Zakka and the fabrics you chose. Quilting cotton prints are fun, but the timeless fabrics are so lovely. I’d love to try Zakka. Very cute book and fabrics! Such a lovely collection of fabric. Thank you for being part of the giveaway. That book looks fabulous, I’ve been reading about Zakka all over the blogs today, I will have to check that out!! I am so happy that there are more Zakka books coming out. Everything is just so cute. Oh how fun, thanks for the chance to win! Very nice and interesting book! Lovely – I receive your feed. Love Zakka and the fabrics you selected. Lovely giveaway – thank you so much! Lovely book and fabrics. Thanks for the chance. I just headed over to your Facebook page and liked that. Now I can follow you in my daily feed! Thanks so much for the chance to win these lovely prizes. I’ve been enjoying the Japanese Sewing series. and I liked your page on Facebook. Can you tell I’d really like to win!! I love your blog. Thanks for the giveaway. Follow you in my wordpress reader. What a great giveaway. Love the mustard fabric! Wow, i can see myself getting a lot of use out of this book. Thanks for the great giveaway! Fun giveaway! Thanks for the chance! Ooh! Pretty fabrics! I have heard of this book and it looks interesting! I”m ready to learn some new crafts! And the fabs are very nice! Thanks for the chance! great giveaway! i’d love to make the slipper/shoes! thanks. hi! thank you for the giveaway!! I love your blog! Thanks for the giveaway. I’ve always wanted to get a zakka book! I follow on Bloglovin’ and I’m lovin it too! 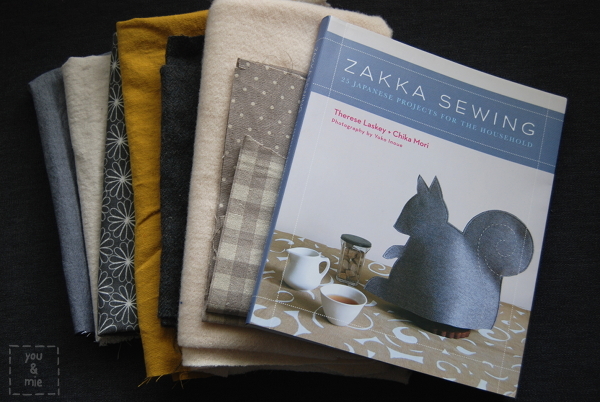 I love love Zakka books and linen, it was my first SAL………. I am using linen for the umbrella and trimmings competition.. and I have made those baby shoes..
i would love to win your giveaway! thank you! Great giveaway–thanks for the chance to win! I love this! I spent 2 years in Japan, and I miss it! Gorgeous fabrics, and that book looks awesome- I really want to get into embroidery, and they have some pretty pieces in there! Thanks for the giveaway! 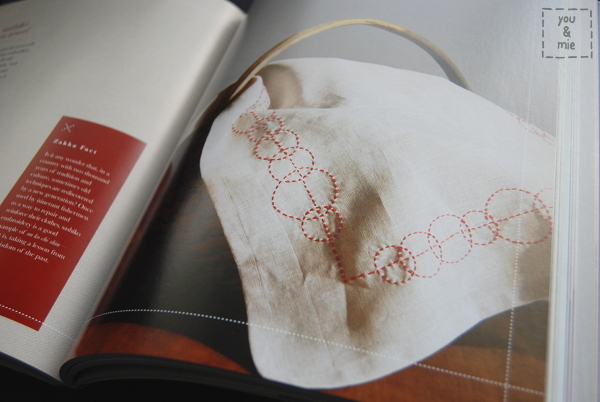 I have recently found the zakka love–I checked out a book from the library and will be making something from it. What a BEAUTIFUL selection of fabric! Yay for uncomplicated! Thanks for not making us jump through major hoops. Ooh, I would love to win the book! I’d love to try Zakka style. Great fabrics also. Those little shoes are adorable! Great zakka fabrics, I love the deep color tones. Hope to win! Those look like cute projects in that book. How beautiful, I have looked at the book before and would love to have it! hmm, I like Zakka, but I don’t have this book! Thanks for the chance to win. Zakka style sewing always makes me smile- it’s just so happy looking without being bright or commercial. Fabric AND a book! Awesome. Great giveaway idea! I’ve seen several Zakka books but am not familiar with this one. Thanks for the chance! subscribe on reader, feedly and bloglovin…… haven’t decided which to keep yet…..
love your projects and ideas for sewing for your daughter….. who’s pretty cute in her own right….. The book and bundle look GREAT. Thanks so much! I follow you via my reader. Thank you again! Thank you for doing a giveaway. loving the gray flower fabric. I have read in blogs about Zakka so this would be a great opportunity to try it! Love the fabric. I love that bundle of fabric! It’s so perfect! awesome giveaway!!! Thank you for the chance! The book looks full of great projects! I would love to make that squirrel tea cozy! thank you for the generous giveaway. That looks like an interesting book…fun! Fun fabric collection. Thanks for the giveaway chance! The fabric is cute, and the book is great too! I haven’t tried any Zakka yet. Such lovely fabric. Love that book! I’d love to win these fabrics for my group, World of Charity Stitching. Ooh, I’ve always wanted to try Zakka – what a great giveaway! Thanks for the chance! …and I’m following you on facebook. Thanks again! This looks like a wonderfully fun book and your fabrics are just icing on the cake! I follow your blog with Feedly. That book looks so awesome! my daughter is into anything from Japan, so this book would be right up her alley. she would be having me make things right and left. I have never heard of Zakka – looks interesting! Very cute book and fabric, would like to try, thanks! I sooo want to sew some Zakka and those fabrics look luscious. Thank you for the chance to win! !